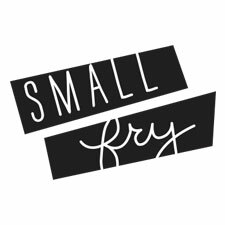 Nicole, our eternal optimist, is exempt from this but Jenna and I often joke that our Frydays are a touch depressing. When you are given one shot a month to analyze your feelings about the previous few weeks, it seems the failures and the road-bumps are the most vivid memories. Jenna asked on Facebook (you can still weigh in here!) what other topics you’d like to hear from us, and so many great suggestions were sent in. 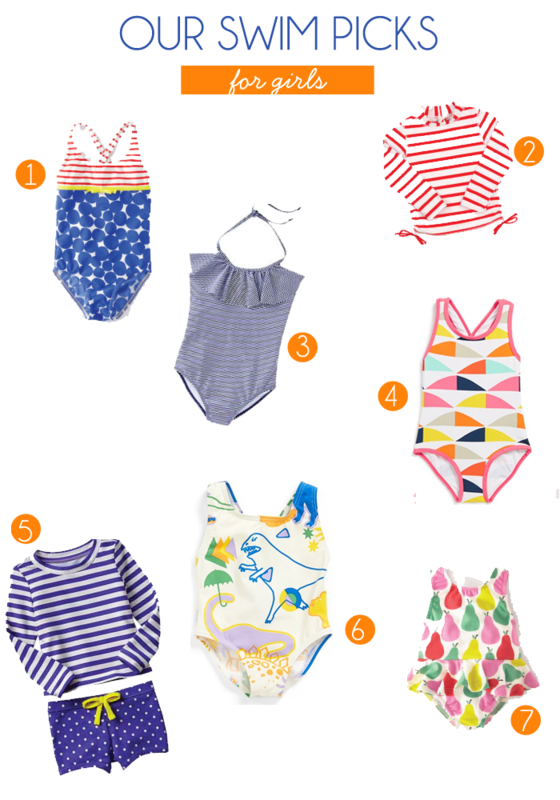 One reader asked what swim-suits we are buying for our kids and ourselves and so I took the liberty to take a break from the angst and gather the girls’ and my favorites for one HUGE run down of our web-based favorites. Let’s start with kids! Summertime is my happiest season of the year. My kids are outside either swimming in a pool or playing in the yard from sun up to sun down, my husband is BBQing and playing softball with his friends, everyone is in their happy place, and all the sudden my job is so much easier. Summertime pays me back ten-fold for the six long months of Winter. Being stuck indoors, making feeble attempts to do anything other than watch Paw Patrol and picking up those darn legos again, that kind of Winter. 1. Rufus Bather via Cotton On // 2. Bobby Boardshort Striped Shortsvia Cotton // 3. Neon banded Swimshorts via Mini Boden // 4. Grey Trunks via Target // 5. Red Stripes via Zara // 6. Benny Boardshort via Cotton On // 7. Anchor Shorts via Target. 1. Mixed Pattern suit via Mini Boden // 2. Jojo Rashy via Cotton On // 3. Stripe frilled one piece via Old Navy // 4. Marimekko suit via Nordstrom // 5. Rash guard and brief set via Gap 6. Dino Suit by Stella McCartney // 7. Pear suit via Mini Boden. 1. Remember that swim line from Albion Fit that isn’t launching for two weeks. WELL! They loved our Eiffel Tower print suit so much that they made it for adults, too! This suit is ready for purchase right now. It has our exclusive Eiffel Tower print, a high-waisted ruched black bottom and flattering for all! Find it here. 2. This style of suit is great for us long-torsoed gals where one pieces just can’t cut it. You still get coverage and the high-waist is great for hiding stretch marks. (This might be a good time to ask: When will I be comfortable showing those? 2 1/2 years Post-partum and I still look like I got attacked by a three foot bear.) Antigua Floral via Albion Fit here. 3. Back when we were in high school Esther Williams suits were one of the only options for suits like this, and they are still amazing all these years later! You pick the cut, and the fabric and give your measurements and they send a top quality suit just for you. 4. Rash Guards are gonna be big this year, we’re certain. This floral version is so pretty! 5. While we were designing the girl’s line, our friends Brooke and Summer of the Girls With Glasses were designing these awesome pieces for women! One shoulder stripe suit and Dotted Rash guard. And 14 more I put in a nice little slideshow for you. Happy swimsuit season everyone! What a great round-up of suits! I am always looking for adorable non-mom-ish one pieces so thank you for all of these ideas! I should clarify – I am a mom, but hate to look frumpy, you know… Anyway, thanks! I love them all! So wish I could pull something like this off. 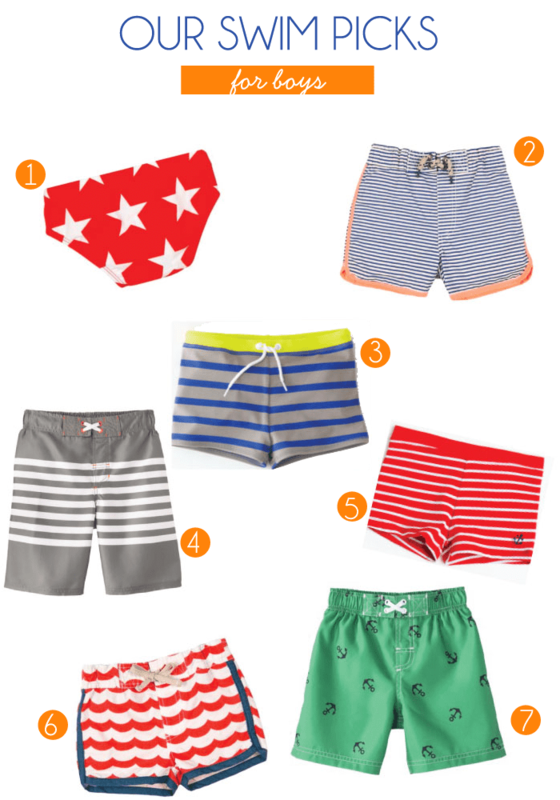 I *love* those boys board shorts from Cotton On. I will need to make an order 🙂 Also loving the one piece suits with cut outs from Free People. Thanks for sharing! Obsessed with that dino girls swimsuit!